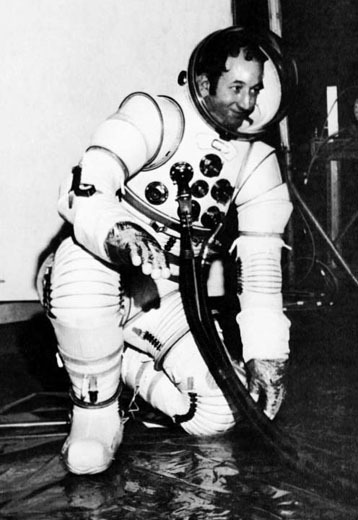 Welkins was founded in 2004, but its roots and technology stretch back over five decades, evolving from Bill Elkins’ work in the 1960’s as a NASA scientist designing spacesuits, liquid cooled garments and other life-support systems to help astronauts withstand environmental strain. This work—which earned Mr. Elkins a place in the U.S. Space Foundation’s Technology Hall of Fame—was central to NASA’s pioneering research into cooling for Multiple Sclerosis. In the ensuing decades, Mr. Elkins has developed and manufactured innovative cooling technologies and products at a number of companies, including Life Support Systems, Inc. (founded by Mr. Elkins in 1980), Life Enhancement Technologies, Inc. (founded by Mr. Elkins in 1995), and CoolSystems, Inc. (founded by Mr. Elkins in 1998). Mr. Elkins’ past enterprises have received funding from the U.S. Department of Defense—including the Joint IED Defeat Organization (JIEDDO), Defense Advanced Research Projects Agency (DARPA), U.S. Army and U.S. Air Force—the Canadian Forces, Mellon Institute, and other public and private sources. Welkins’ core technology has been fielded in military operations around the world, from the United States (US Air Force Rapid Runway Repair, 1980’s) to the Solomon Islands (Army Explosive Ordnance Disposal, 1991), Middle East (Desert Shield and Desert Storm, 1992-1993), and Honduras (Joint Task Force Bravo, 2006). In the civilian world, WElkins medical technology has been developed in lockstep with the ground-breaking research of Dr. Huan Wang, Assistant Professor of Neurosurgery at the University of Illinois College of Medicine, and Director of the Thermal Neuroscience Laboratory at the Beckman Institute for Advanced Science and Technology. In 2001, Dr. Huan Wang—then a resident neurosurgeon at OSF Saint Francis Medical Center, a teaching hospital for the University of Illinois—needed to find a head-cooling device to rapidly induce therapeutic hypothermia for victims of head trauma or stroke. Dr. Wang stumbled upon a NASA report on therapeutic cooling that featured an illustration by Mr. Elkins of a cooling garment designed for the research work. Dr. Wang immediately called NASA and was placed in touch with Mr. Elkins; the two began to work together in the area of therapeutic cooling devices, collaborating on a successful pilot study published in the Journal of Neurosurgery in 2004. Following completion of the 2004 Pilot Study, Mr. Elkins formed Welkins, LLC as a platform to expand his research and development of liquid cooling technology for military and civilian applications. Early emphasis was placed on personal cooling and hydration for military personnel, which led to a 2006 pilot deployment to Honduras in support of Joint Task Force Bravo under the United States Southern Command. In 2010, Welkins secured funding from the Department of Defense (DoD) to develop a medical cooling system for the battlefield. Subsequent awards under DoD's Small Business Innovation Research and Small Business Technology Transfer (SBIR/STTR) programs have supported Welkins' growth beyond cooling into broader R&D, engineering services and prototyping activities.